Ryan focuses his practice on intellectual property law. 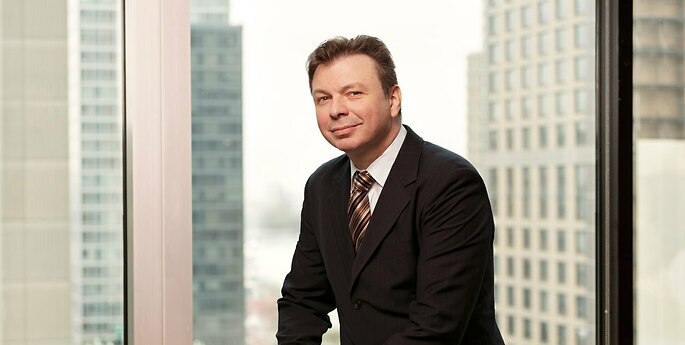 His extensive experience includes trademark prosecution, trademark management of international portfolios, trademark enforcement and anti-counterfeiting, licensing and transactional agreements, and intellectual property litigation before U.S. federal courts and the Trademark Trial and Appeal Board of the U.S. Patent and Trademark Office. He is fluent in Portuguese, Spanish, and Greek, counseling clients at home and abroad in their native languages. Ryan represents numerous multinational and national corporations as well as individuals in connection with their intellectual property rights. Prior to joining Hodgson Russ, Ryan was partner at an intellectual property law firm with offices in New York City and New Jersey. There, he managed the worldwide intellectual property holdings and litigation for several clients. He also previously served as a judicial law clerk to the Hon. Oliver W. Wanger of the U.S. District Court for the Eastern District of California. Ryan’s non-legal experience includes serving as a press officer in the Division of Press and Information at the Greek Consulate in New York City.